What Are the Different Types of Food Emulsifiers? Eggs are the most common type of emulsifier food. Emulsifiers may be added to milk to prevent separating and extend its shelf life. Food emulsifiers have been used for hundreds of years in order to keep the oil and water based ingredients in a dish from separating. Though there are a number of cooking techniques that can be used to help oil and water combine, the use of an emulsifier gives the finished product more stability than it would otherwise have. Traditionally, one of the most commonly used types of food emulsifiers are chicken eggs, which are frequently used to bind together ingredients in baked goods. 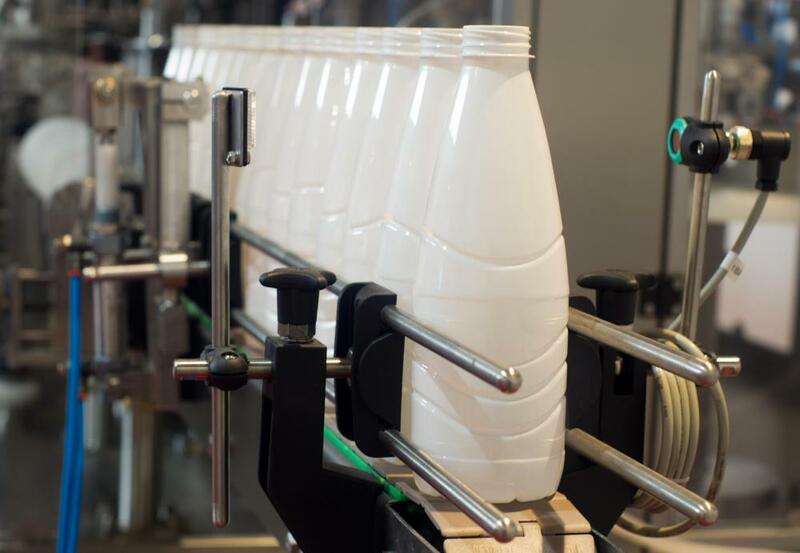 Chemical emulsifiers, which are made of some of the same molecule chains that give natural emulsifiers their properties, are the most frequently used in processed foods. 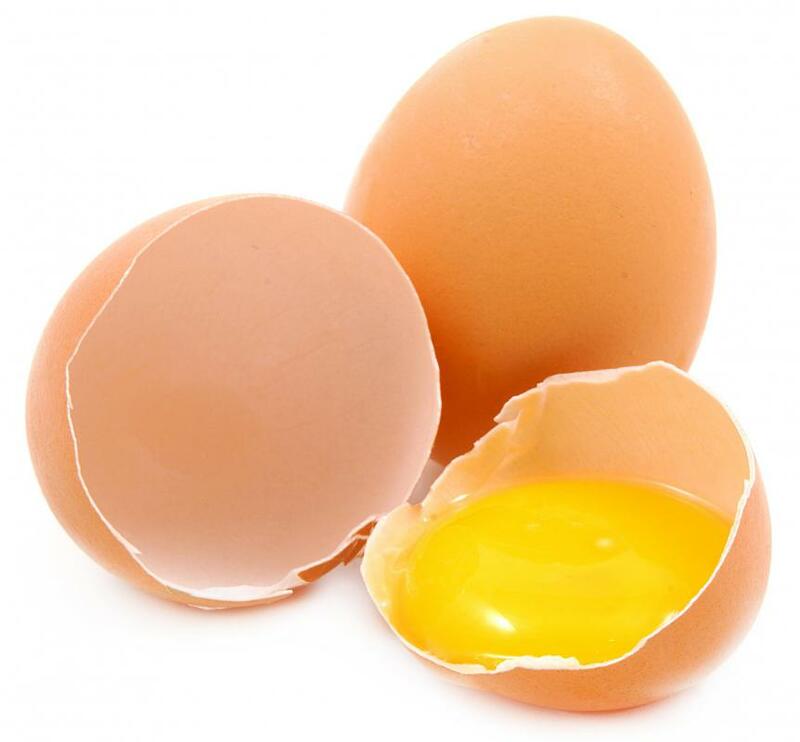 One of the most commonly used food emulsifiers is the egg. The yolk of a chicken egg contains a large amount of a phospholipid compound known as lecithin, which binds readily to water. Lecithin is also found naturally in oils from rapeseed, soy beans, and other common oil producing plants. Scientists have also been able to extract pure lecithin from these products in order to create a powder or paste that can be added to foods to emulsify them without adding oil or egg to the dish. Monoglycerides are food emulsifiers that are commonly used in food processing plants. A number of different fatty acids can be extracted from plant or animal sources for use as monoglycerides. These food emulsifiers are some of the most commonly used because they can have a number of different properties, including the ability to keep a substance from becoming too sticky, to prevent a substance from foaming, or to cause a substance to foam. These differences occur because these chemicals can be made from different fatty acids. Fatty acids can also be combined into polyglycerides in order to be used as food emulsifiers. As with monoglycerides, the behavior of a polyglycerol compound will change depending on the type of fatty acid used to create it. Many of these compounds are attracted to both water and oil, making them useful in dishes in which these two ingredients must be kept from separating. Mustard and honey can also be used as food emulsifiers. These foods work in the same way as chemical emulsifiers and contain many of the same types of molecules that allow emulsifiers to bind water and oil together. Though they are not frequently used in food processing plants, these emulsifiers are frequently used by individuals and by companies that specialize in natural foods. What Are the Different Types of Vegetable Emulsifiers? What Are the Different Types of Chemical Food Additives? What Is the Difference between Food Additives and Preservatives? What Are the Different Types of Cake Emulsifiers? What Are the Different Types of Halal Indian Food? I was wondering what "lecithin" in the ingredients list of my salad dressing means. So this is why the oil and vinegar in it never separates. I've never thought of honey as an emulsifier. I have a niece who is allergic to eggs. I guess I can make some baked goods for her by incorporating honey instead? Will it turn out good? Will other sweet syrups work as emulsifiers as well? Like maple syrup or rice syrup? Once I forgot to put eggs in my pancake batter. It was my second or third time making pancakes and I didn't have the recipe. When I poured the batter on the pan, everything just fell apart and become a big mush. It was terrible. My mom took one look at it and said "you forgot the eggs." This was a good lesson actually. Now, whenever I put oil and water in a batter, I know I have to put eggs too.